10 years ago, we were created by a group of passionate, like-minded people who believed more needed to be done to conserve wildlife in the region surrounding Victoria Falls. Our Board of Trustees are based all across the world, and each member volunteers their time to ensure that The Victoria Falls Wildlife Trust achieves what we set out to do. 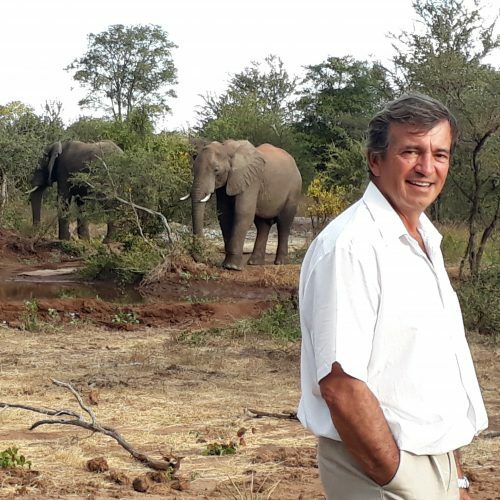 Bruno De Leo has been a Trustee of the Victoria Falls Wildlife Trust since it was formed and currently serves as Chairman of the Board. Bruno was brought up in Zambia and schooled in Johannesburg, South Africa. 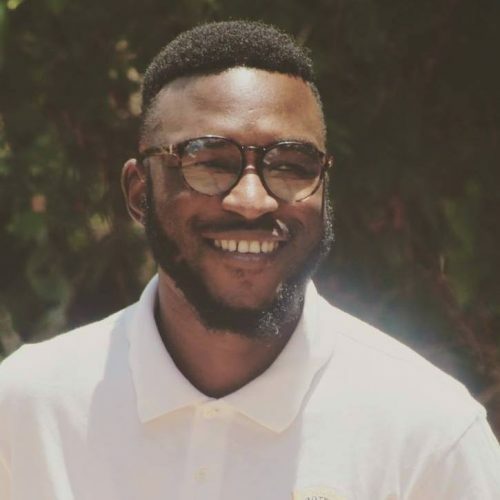 After completing his Business Management diploma, Bruno moved to Chobe, Botswana where he started his career in the tourism industry and eventually moved to Victoria Falls, Zimbabwe. 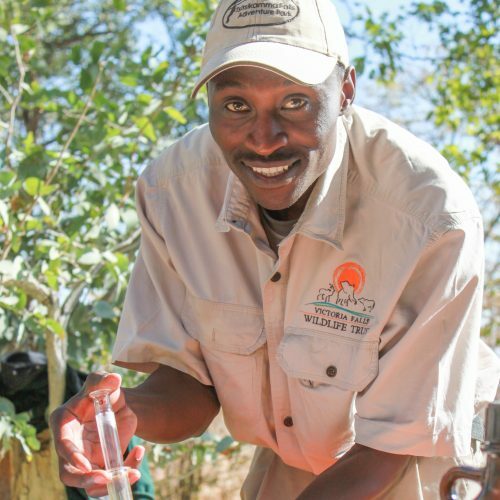 Bruno has a genuine passion for wildlife and the environment and is totally committed to supporting the Victoria Falls Wildlife Trust achieve it’s objectives and play an integral role in the conservation of wildlife in the region. Paul Connolly is a Zimbabwean to his core. He was born and raised in Zimbabwe and as a child he knew he wanted to live his life on the Zambezi River and in the African bush. After completing a law degree at university, he joined the prestigious law firm of Atherstone & Cook, where he became a partner. After making the decision to resign from the law, he continued to pursue his passion of canoing. 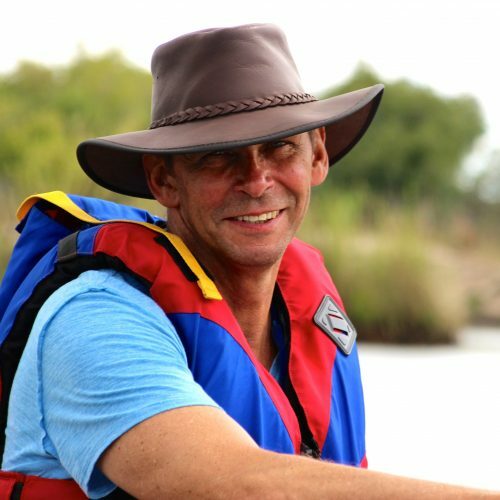 In 1985, Paul moved permanently to Victoria Falls and became very active in working together with the Department of National Parks and Wildlife and setting the rules and guidelines for companies involved in rafting, canoing and kayaking. In addition to his work in tourism, Paul also started Victoria Falls Primary School so that he wouldn’t have to send his children away for schooling at such a young age. These days Paul can be found still canoing the Zambezi commercially, as well as taking his once a year journey to a remote river in Africa. 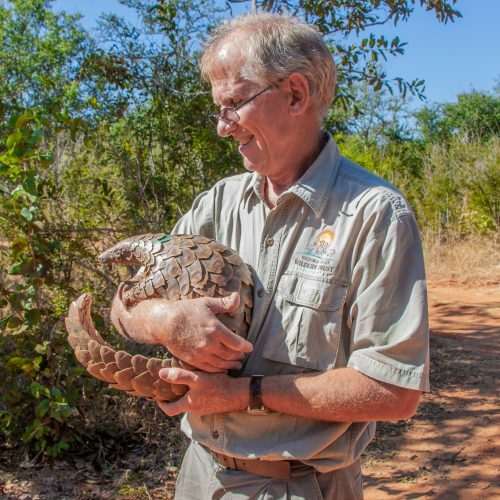 In his free time, we are pleased to have Paul as a trustee where he is making a difference in the conservation of animals and forests which he feels is a good cause as it helps combat habitat loss. The trust will be able to preserve species for future generations. Paul believes that the Victoria Falls Wildlife Trust is important as not only is it a wildlfie conservation organization it works with local communities. So when his grandchildren are canoing the Zambezi they will still have the privilege of seeing some truly magnificent wildlife. 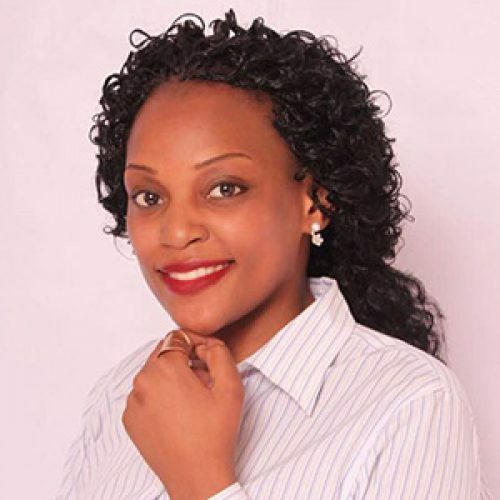 Barbara Murasiranwa is a local Zimbabwean lady who is an accomplished Chartered accountant. She holds various accounting and other qualifications and her experience in these fields spans for over 30 years. Barbara is currently the Business Development and Corporate Affairs Director for Wild Horizons – A leading Tour Operating and Ground Handling Company in Victoria Falls and the Region. As an active member of the Victoria Falls community, Barbara kindly volunteers her time with Rotary International where she has held various strategic posts and received numerous and significant awards in her roles in assisting humanity. 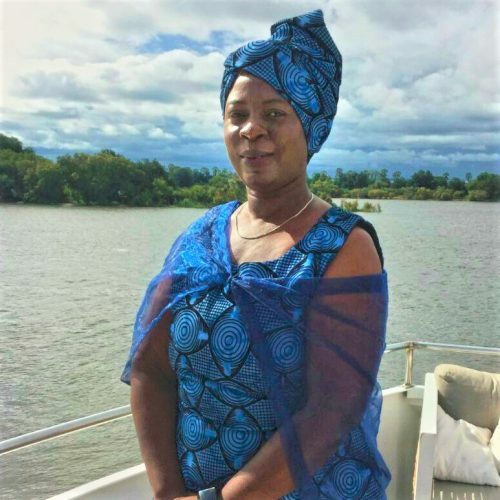 Barbara has been involved in tourism in the region for the past 22 years where she has held positions like Financial Director and Managing Director for 16 years during highly turbulent and harsh economic conditions. She owns and runs her own Company- Vimbiso Safaris and Tours. In addition to Rotary, Barbara kindly volunteers her time as a Board member with Victoria Falls Primary School (currently the Board Treasurer), and the Zimbabwe Council for Tourism (now Tourism Business Council of Zimbabwe) as a regional representative and Spokesperson. Barbara is a passionate minister of religion and a very active conservationist, supporting various anti-poaching initiatives. She has held positions and has been instrumental in the following organizations before: – Chairperson of Victoria Falls Women in Business; – Counselor and advisor of the Zimbabwe Parents of the Handicapped Children Association VF; – Sat on the Victoria Falls Mayor’s advisory Board; – Chairperson and Treasurer for Zimbabwe Women in Tourism; – Local Organising Committee for the 2013 UNWTO. Shane was born in Zimbabwe in 1968, and was raised in Victoria Falls, Zimbabwe. Having been brought up by parents that were involved in the safari industry Shane always had a love for nature and it was a natural progression for him to join the family safari business when leaving school. Shane immediately enrolled as an apprentice guide under the tutelage of Professional Guide Gavin Best. Shane passed his Full guides license in 1991, being one of the youngest qualified guides on the circuit at the time. 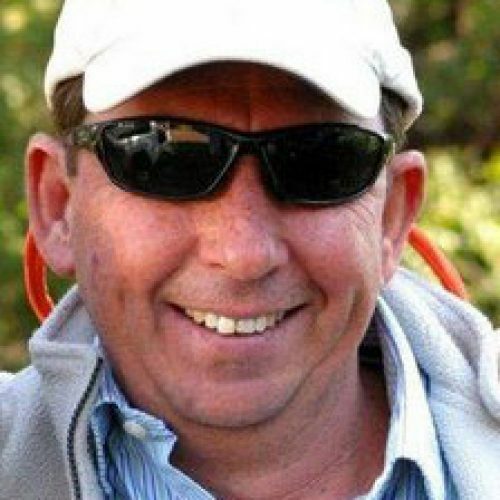 Shane worked as a manager and professional guide at Imbabala safari lodge for 3 years before taking over the company’s mobile safari operation. Shane managed this for 6 years leading mobile camping and walking safaris in the Hwange and Kazuma National Parks. Soon after the arrival of his second child Shane took up the role of Marketing Director at Wild Horizons, allowing him more time at home to spend with the family. He has held this position for the last 15 years. Over this time Wild Horizons has grown from a relatively small family run safari business to one of the leading tourism business in Zimbabwe. Craig Ward White was born in Bulawayo, Zimbabwe in 1963, and attended Baobab Primary School in Victoria Falls. He then went on to Gifford High School in Bulawayo for secondary education, after which he attended the Zimbabwe Polytech College, studying Civil Engineering. Craig qualified as a Civil Engineering Technician in 1982 and went on to work for the Zimbabwe Government in the department of Water Development, designing & building dams in Zimbabwe’s rural areas. In 1984 Craig moved to Botswana to work for a safari company in the Okavango Delta as a Safari Guide, fulfilling a life-long ambition of a career in Wildlife. In 1987 Craig moved back to Victoria Falls, Zimbabwe, to start a safari company known as Wild Horizons, with his father, Ron White. Together they built their first Safari Camp known as Imbabala which opened its doors in 1989. Craig qualified as a Professional Safari Guide 4 years later, and together with his brother Shane and brother-in-law Gavin, started overland safaris throughout north-western Zimbabwe. In 1991 Craig together with his father Ron, built Jijima Safari Camp near Hwange National Park, and shortly thereafter went on to build The Elephant Camp in Victoria Falls. The latest addition to the Wild Horizons portfolio of lodges has been The Old Drift Lodge, built in 2018, within the Zambezi National Park at Victoria Falls. 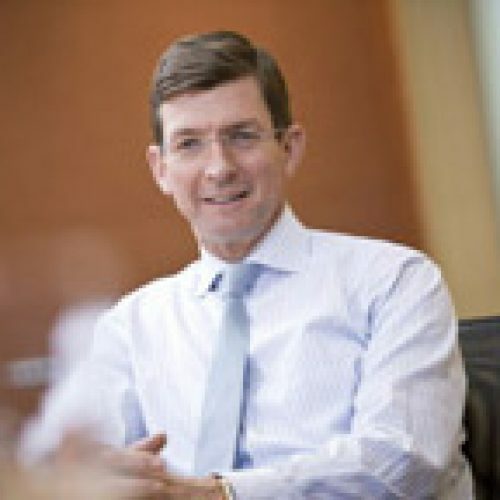 Simon is a founding partner of Cinven, one of Europe’s largest private equity firms, with offices in London, Paris, Frankfurt, Milan and Hong Kong. Prior to joining Cinven, Simon worked with an international consulting firm on multi-disciplinary engineering projects in the UK and Southern Africa. Simon lived in Zimbabwe for 2.5 years and whilst doing so observed the pressures and challenges that exist at the interface of wildlife and ever growing human populous. Simon has an MBA, a BSc in Engineering and is a chartered engineer. Leon Varley has been a fully qualified guide for more than 25 years and was among the first three guides to qualify in the post independence period. He was raised on a farm in North Eastern Zimbabwe and before starting Backpackers Africa he worked as a Professional Hunter, Army Tracker, Miner, Prospector, Farmer, Journalist, Forestry Game Ranger and Tsetse Control Officer. It was whilst working in Chizarira National Park as a tsetse control officer in 1980 that he first formulated the idea of a walking safari operation. This area has always remained a favorite and to date he has personally led over 350 walking safaris. In 1986 Leon formed Backpackers Africa with his wife Mags and together they continue to host walking safaris throughout Zimbabwe. Leon was a founding member of the International Anti Poaching Foundation (IAPF), and is currently training and deploying an all women anti poaching unit in the North East of Zimbabwe. 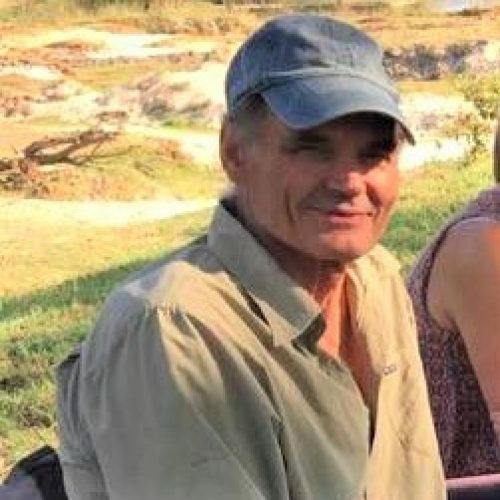 Mike Davis has been employed in the adventure and safari industry since 1990 and has been a trustee of Victoria Falls Wildlife Trust since 2016. 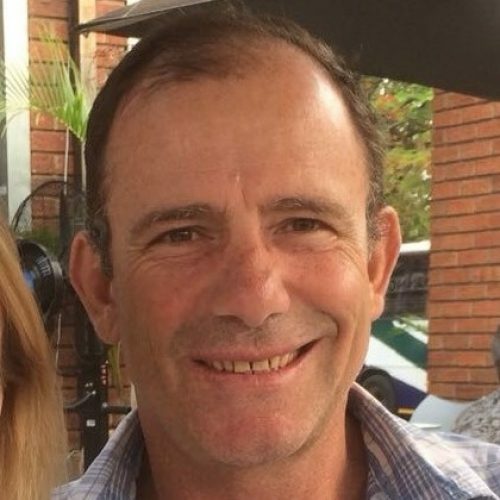 Mike is currently the Chairman of Shearwater (pty) Ltd.
Our team of dedicated staff work full-time at our operational base in Victoria Falls, Zimbabwe. Jessica was born and raised in San Diego, California. She received a B.S degree from California Polytechnic, San Luis Obispo in Business and a minor in Viticulture. After completing her undergraduate degree, Jessica then went on to do a Master’s in Business Administration at San Jose State University. During her undergraduate studies Jessica traveled to Africa and enjoyed spending time there with family and friends. Jessica worked in compliance and international trade in California and shortly in Washington D.C. After completing her Master’s degree she returned to Zimbabwe and soon met Roger Parry her husband. Roger and Jessica have been involved in setting up and running of the Victoria Falls Wildlife Trust since it was established in 2008. Jessica has always had a deep love of nature and wildlife and hopes that the work VFWT does will help others to have the opportunity to enjoy nature as much as she does. 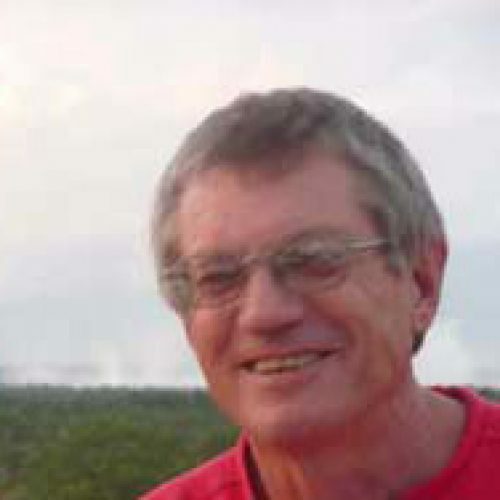 Dr Chris Foggin (BVSc, MRCVS, Dphil) was born in Salisbury (now Harare), Zimbabwe, in 1947 and did his schooling in Zimbabwe. He completed his Batchelor of Veterinary Science degree at the Onderstepoort Veterinary Faculty, University of Pretoria, South Africa in 1970. After five years in private, mixed veterinary practice, he joined the Central Veterinary Laboratory, in the Ministry of Agriculture in 1976. He has remained in the Government Veterinary Services since then. For the following 13 years he was in charge of the Pathology and Rabies sections, and was awarded his D Phil in 1988 by the University of Zimbabwe, Faculty of Medicine, on the Epidemiology of Rabies and Rabies-related viruses in Zimbabwe. In 1989, the Wildlife Veterinary Unit (WVU) was formed within the Dept of Veterinary Services, in response to a rapidly-expanding wildlife industry in Zimbabwe. Dr Foggin was appointed Head of this Unit, a position that he held until his age-compulsory retirement in August 2012. The Unit remains responsible for wildlife diagnostic, regulatory, extension, research and conservation veterinary medicine work throughout Zimbabwe’s commercial wildlife properties, including wildlife conservancies, as well as within the Parks and Wildlife Estate. 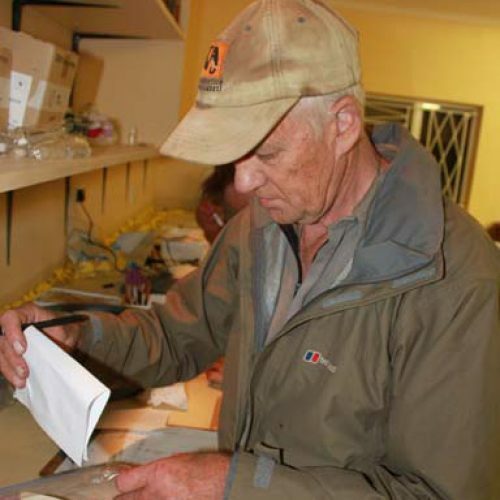 For over a decade since 1996, after the two veterinarians employed by the Parks and Wildlife Management Authority left Zimbabwe, Dr Foggin was the only veterinarian in the country attending to rhino veterinary requirements. In this work he has had to perform some 1400 field immobilizations of black and white rhino for routine management operations as well as for translocations and treatments of snares and other injuries. Roger comes to the Trust with more than 15 years experience in the Wildlife Tourism industry. Additionally, he spent 10 years working for the Zimbabwe Department of National Parks and Wildlife where he ascended to the rank of Senior Warden of Chizarira National Park. Roger also did the occasional flying for National Parks. Roger’s qualifications include 15 years of darting and using chemical and physical capture of wildlife. Roger oversees the community outreach programs and wildlife research. He works together with other staff to manage the human wildlife conflict project, carnivore research, elephant mitigation, vulture research and rehabilitation, and the litter team. The Vic Falls Wildlife Trust works very closely with the Victoria Falls Anti-Poaching Unit – Roger does a lot of the darting of snared and injured animals in the region, and assists when requested with local wildlife authorities and partners in Botswana and Zambia. Bongani joined the Victoria Falls Wildlife Trust full time in 2010 to assist with working in the field. Bongani is from the Monde area near Victoria Falls, and is fluent in both Ndebele (the local language spoken in the Region) as well as English. Given Bongani’s experience, he is able to run our school’s conservation interaction, human wildlife conflict project, and helps with many of the research efforts in the field. .
Twelve years ago Bongani started off as a cattle herder, and over time due to his keen interest in wildlife and conservation, he improved his position. He now also helps with managing the human wildlife conflict hotline and responding to the local community reports of conflict incidents. Bongani has extensive training in everything from telemetry (for tracking collared animals) to tracking wildlife in the bush. Bongani works on a range of projects but specifically assists with our projects with local communities. He is a huge asset to the Vic Falls Wildlife Trust and we thank him for his help. 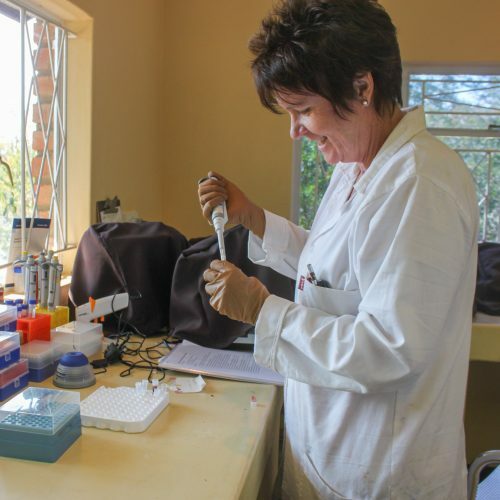 Patricia (Trish) Pritchard trained in South Afrca at the Natal Techinkon in Durban where she qualified as a laboratory technician with a specialization in pathology. Over the years Trish worked in a range of veterinary and medical laboratories, in the UK, South Africa and in Zimbabwe. Trish has a keen love of wildlife, having run her own tourism company for more than 15 years. VFWT are very lucky to have Trish’s techincal abilities in the laboratory where she runs the histology and pathology functions as well as oversees basic opearting procedures to ensure quality control is monitored and measured. Trish comes to VFWT with more than 25 years of experience. Adelaide received a BSc in Applied Biosciences and Biotechnology from the Midlands State University, Zimbabwe in 2017. 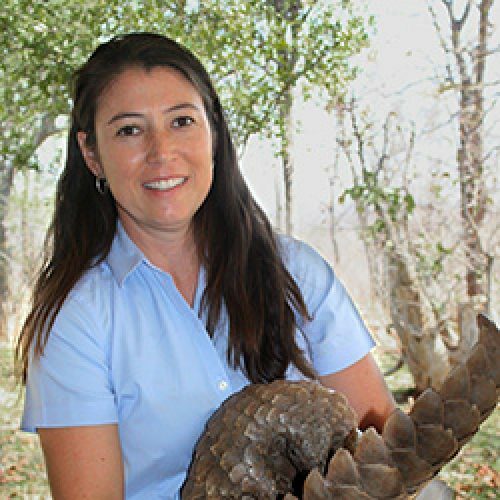 Having gained experience in the Biology field, she makes use of her ecological knowledge to advocate for conservation education. She is also privileged to be able to access and influence both the public and private sectors, often collaborating with other NGOs who share her vision and concern. Adelaide also received professional training at the Department of Research and Specialist Services includes environmental mediation, organization management, and strategic planning. Adelaide joined VFWT in 2017 as the Conservation Educator. 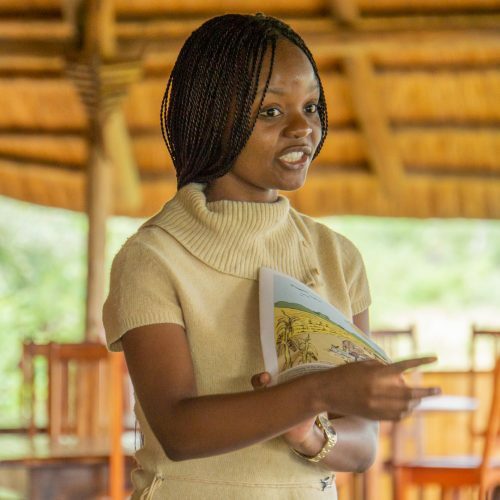 She has managed to revive eco clubs in eight primary schools in the Victoria Falls rural community and hosts a weekly wildlife interaction program for rural schools at Elephant Camp, with the aim to cultivate an appreciation of wildlife and natural sciences and steward a culture of coexistence with wildlife in the rural areas around Victoria Falls. Brighton is our communications coordinator who gives tours of the Trust’s facilities and helps to effectively communicate about the Trust to the general public and secures local donors through fundraising outreach campaigns. Gloria fell in love with nonprofits when she was at the University of Zimbabwe. Gloria quickly developed a deep passion for charitable work after being inspired by non-profits who worked with students for the goal of community development. Since 2011 Gloria has worked and collaborated with various non-profits in Zimbabwe where she had gained experience as an administrator. Gloria began her role in 2018 as the Administrative Assistant to the Chief Executive Officer at VFWT. In this position, Gloria provides administrative assistance for the CEO and logistical support for multiple projects. She serves as the Point of contact for general public, donors, collaborators, and visitors.